CooksRecipes has quality, kitchen-tested recipes for jams, jellies, marmalades and preserves that you can count on for successful deliciousness. Recipe courtesy of the Pomegranate Council. 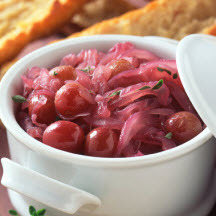 This makes a fabulous addition to roast pork or turkey sandwiches, or serve it as part of an antipasto selection. It is also great as a topper for grilled chicken or steaks. 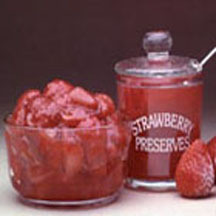 Freezer strawberry jam tastes just like fresh strawberries. 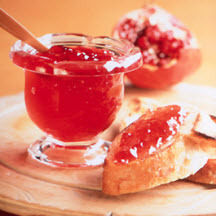 One bite of this jam and you'll never want cooked jam again.